Thousands of Jordanians marched through the streets of Amman on Friday, joined by Queen Rania, calling on King Abdullah II to exact revenge on Islamic State in return for the killing of pilot Mouath al-Kasaesbeh. 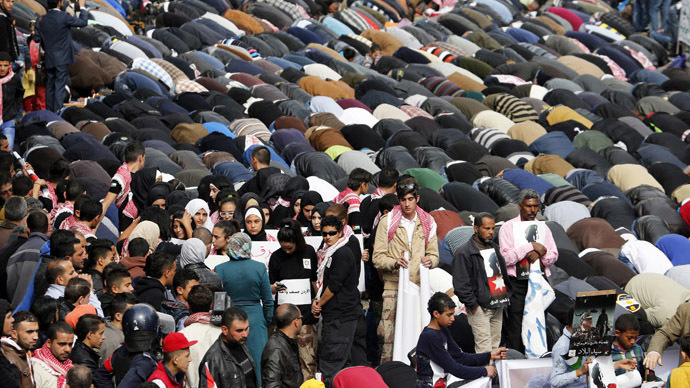 Crowds gathered near Amman’s main Husseini mosque for a mass prayer, then continued marching to city hall. The crowd chanted “We are all Mouath…we are all Jordan,” as well as “Death to Daesh” – an derogatory Arabic acronym for the terror group. Queen Rania marched along with the protesters carrying a picture of a-Kasaesbeh. 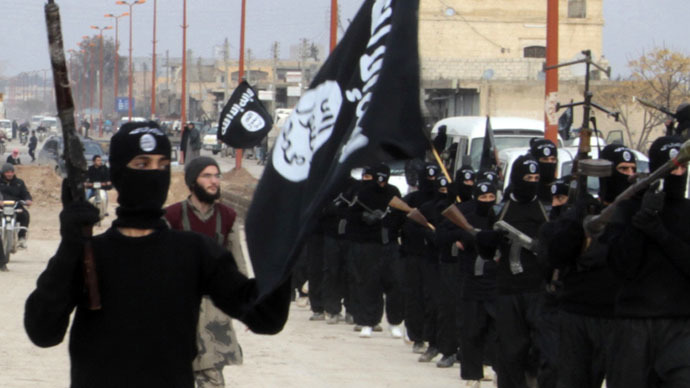 The outpouring of public anger comes three days after the Islamic State (IS, formerly ISIS) released a video appearing to show masked extremists burning a caged al-Kasaesbeh to death. Jordan had been tentatively negotiating the pilot’s release in a prisoner exchange with the jihadists, however after his brutal murder, Jordanian authorities responded by promptly executing two terrorists held in the country. 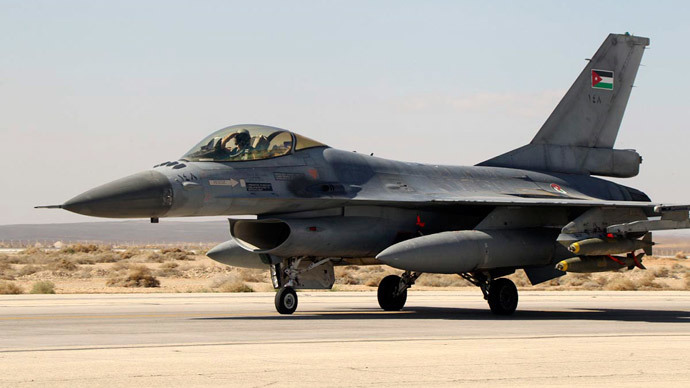 Friday marked the second consecutive day of Jordanian airstrikes against IS strongholds, weapons bases and hideouts in Syria. "Sorties of air force fighters executed several air strikes against select targets of the Daesh gang," state television announced. 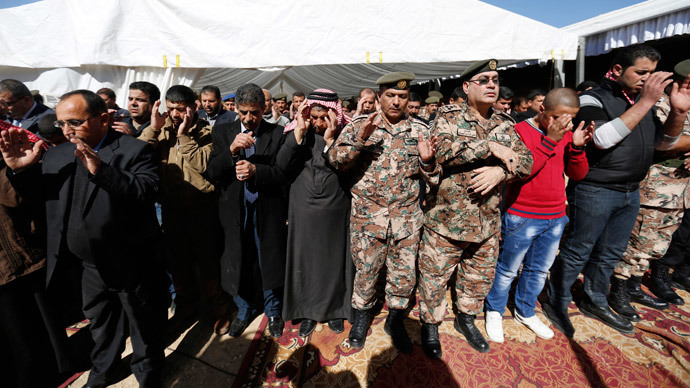 King Abdullah II visited al- Kasaesbeh’s family to pay his respects on Thursday. The pilot’s family urged the king to destroy the jihadists. Clerics throughout Jordan spoke out against the hardline militants as un-Islamic and said that its barbaric tactics will turn many away from the group.